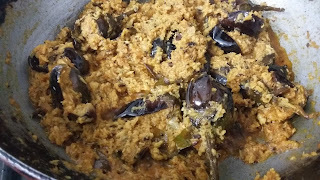 Bharwa Baingan Masala with gravy or Stuffed Brinjal Curry with coconut is a popular recipe in Andhra where we call it as Gutti Vankaya karam kura and bharwa baingan in hindi. 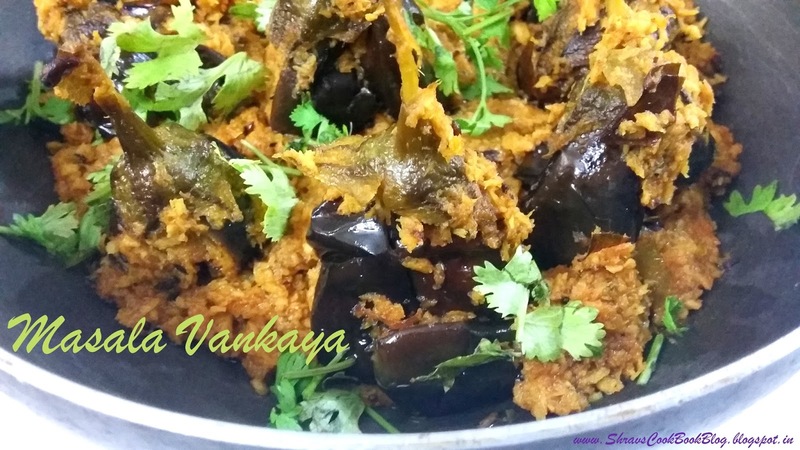 Gutti Vankaya means Brinjal stuffing which can be made with many varieties like Peanut powder, sesame powder, dry coconut powder,roasted gram dal, Cashew Masala. 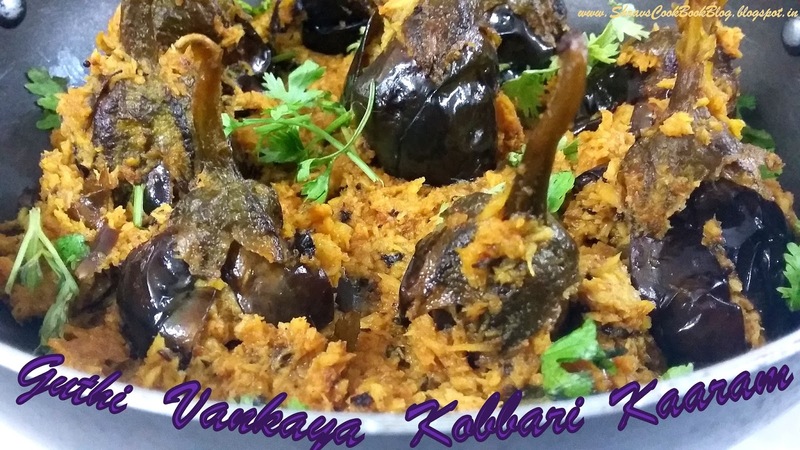 This particular recipe has freshly grated coconut as its main stuffing ingredient. Steamed Rice, Sambar and vankaya karam tastes mind blowing. You just can't stop licking your fingers while eating this combo. Round, small and young brinjals are specially chosen to make this Masala Vankaya recipe. 3. Stuff this paste in the cut brinjals and keep remaining paste aside. 4. Heat a pan and add oil, when oil is hot, add mustard and cumin seeds. 5. 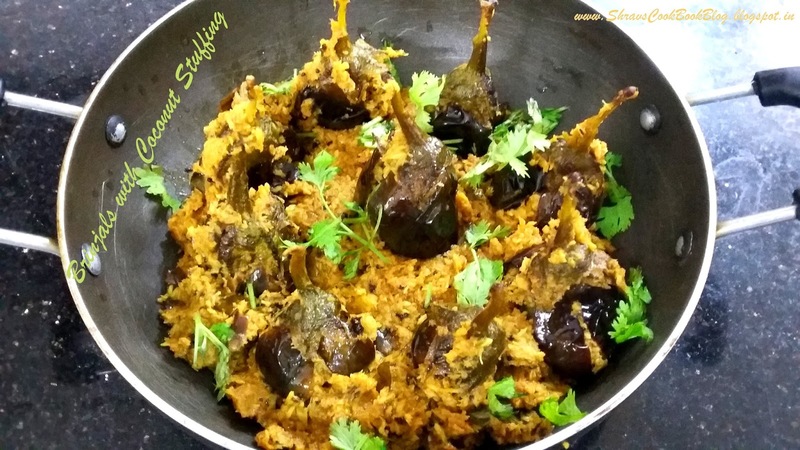 When they splutter, drop stuffed brinjals in the pan. 6. Also add curry leaves, hing and turmeric powder. 14. Bharwa Baingan masala with gravy aka Stuffed Brinjals curry with freshly grated Coconut is ready, garnish with coriander leaves and serve with steamed rice or Roti.